We are excited to announce the opening of our newest branch in Salt Lake City, Utah! This newest Auto-Chlor System location will service customers throughout greater Salt Lake City and the Northern Utah area. The Salt Lake City service territory will be managed by Kevin Wyant. According to Jonah Beckstead, Auto-Chlor System Regional Vice President, “Kevin is originally from Utah and is excited to be coming home. Over the last several years, he has provided high quality service as a leader for Auto-Chlor System in our Oregon market. Kevin’s experience brings a superior level of knowledge and a strong commitment to deliver quality products and service throughout the territory.” Like all other Auto-Chlor locations, the Salt Lake City team will provide the same 28-day route service, turn-key equipment installations and expert cleaning and sanitation advice that Auto-Chlor offers its customers across the country. Additionally, the North Salt Lake facility will inventory a complete line of Auto-Chlor dishmachines, parts and high quality products. We are pleased to announce Auto-Chlor Systems’ newest innovation – the Space Maker Model AC-HT commercial dishwashing machine. The Space Maker, AC-HT incorporates all the features and performance characteristics of larger machines in a compact size. The AC-HT Space Maker compact design provides expanded installation opportunities, even in the smallest’s of kitchens and optimizes cleaning and sanitation results, while reducing labor costs associated with hand warewashing. 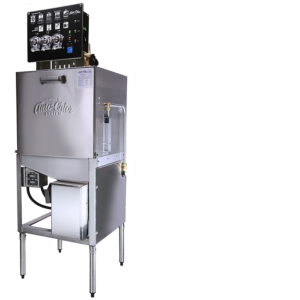 Suitable for use as a low or high temperature commercial dishwasher, the AC-HT Space Maker is NSF listed at low water usage. Conserve energy, water and labor with an ultra fast, 90 second cycle. CLICK HERE to learn more about the new AC-HT Space Maker design and features. Auto-Chlor System announces the opening of a new service and distribution center in Frederick, MD. The new Frederick location will service customers North of the D.C. Beltway and along the Maryland Panhandle. 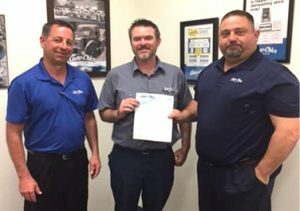 Chris Homyer, Auto-Chlor Frederick – Branch Manager, is excited with the ability to provide service to customers in Frederick and the surrounding area. The Frederick branch will provide additional service coverage in the rapidly growing Northern Virginia market. A full complement of Auto-Chlor Energy Star certified dishwashers and the Auto-Chlor kitchen, housekeeping and laundry cleaning supplies will be warehoused at the facility and ready for immediate installation. Additionally, the Frederick branch will have a staff of Auto-Chlor trained personnel to provide the reliable 28-day service model that has made the company well respected by many foodservice, lodging and healthcare operations. 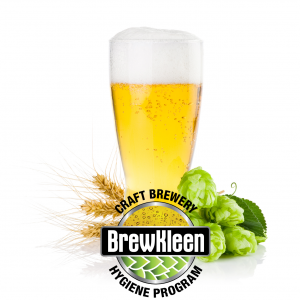 We are pleased to announce BrewKleen, the Craft Brewery Hygiene Program that furnishes a complete onsite solution for brewery cleaning and sanitation, providing both front and back of house cleaning products, procedures and services supporting the craft brew industry. We will work with you to ensure that trouble isn’t brewing in your system, just the highest quality beer possible. We’re ready when you are to help you find optimal cleaning solutions and to be there as you grow. 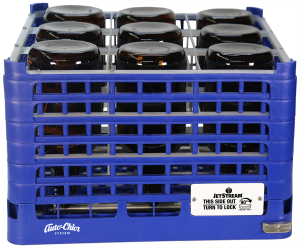 We are pleased to announce Auto-Chlor Systems’ newest equipment innovation, the JetStreamtm growler and bottle washing system. JetStream™ is unique in that it allows for instant switching between a normal dishwasher and one that is capable of washing bottles and carafes with narrow openings. The special rack and valve allow for continual spraying and flushing of the interior throughout the wash and rinse cycle, while maintaining the normal operation of the upper and lower rotating spray arms. The JetStream™ system works with all front loading Auto-Chlor System dishwashers, including SpaceMakers, UHTs and U34s. Installation of the system is accomplished by changing the lower spray base and installing the valve. Dish racks come in both 9 bottle and 15 bottle configurations. Click here for more information about the JetStream™ Rack. Glory Days Grill has awarded Auto-Chlor System its “2016 Vendor of the Year” award! 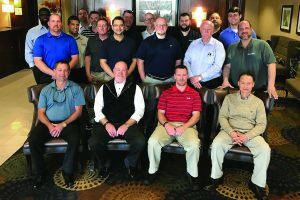 Through a rigorous vetting process of over 100 vendors, Glory Days Grill Corporate Officers and Managing Partners has honored Auto-Chlor System for the third time in Glory Days 20 year history. On March 7, a beautiful dinner was hosted at The Palm Restaurant in Tyson’s Corner VA. Auto-Chlor System was represented well by owners and management; (Steve Wood, John Fegan, Rick Fegan and Michael Bittner). During which time the owners of Glory Days praised Auto-Chlor’s service and commitment to a strong partnership. The hard work and constant dedication to the core principals of Auto-Chlor System do not go unrecognized. Memphis TN, March 2, 2017 – Auto-Chlor System takes another step in delivering environmentally safe cleaning products for use in the institutional and industrial operations. Scale Away, designed to remove mineral deposits, such as calcium, magnesium and iron from multiple surfaces has been reformulated and is now labeled Safer Choice. Products with the Safer Choice label help consumers and commercial buyers identify products with safer chemical ingredients, without sacrificing quality or performance. Safer Choice products are safer for People and Safer for the Environment. Auto-Chlor System makes available a variety of Safer Choice cleaning products for multiple applications including, machine dishwashing, hand dishwashing, floor cleaning, degreasers, and a variety of other hard surface cleaners applicable for use in the foodservice, lodging and healthcare industries. February 21, 2017 – Auto-Chlor System of the Carolina’s announced Adrian Hughes as the Savannah, GA Branch Manager. Adrian began his Auto-Chlor career 4 years ago as a route technician in the Hilton Head, SC market. He immediately began to make an impact in branch operations with his hard work and customer service commitment. In early 2016, Adrian was promoted to a Branch Supervisor position, delivering stability and responsive service throughout the southeast Georgia and South Carolina Service territories. As Branch Manager, Adrian will continue to promote Auto-Chlor System by cultivating strong relationships with customers. 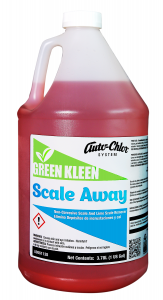 Memphis, TN – Auto-Chlor System announces a new product to its Green Kleen range of institutional cleaners, Enviro Kleen, a new encapsulated dishwashing machine detergent that carries the U.S. Environmental Protection Agency, Safer Choice® label. Enviro Kleen, is a highly active, institutional, dishwashing machine detergent that is suitable for use in varying water conditions and in high or low temperature applications. 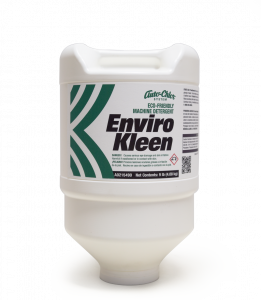 Enviro Kleen mechanical dishwashing detergent is developed to work synergistically with the Safer Choice®, Auto–Chlor System drying agents, Enviro Dry and Enviro Dry Plus. The combination of Enviro Kleen detergent and Enviro Dry drying agents offer users a “Green” alternative for their mechanical warewashing requirements. Safer Choice® products are Safer for People and Safer for the Environment.